Can't quite afford a Century BOB XL up front? Or perhaps you want to kit yourself out head to toe with the latest Venum Equipment? Fear not, Made4Fighters is here to help! We have partnered up with V12 Consumer Finance, who are now able to provide you with 0% Finance on all orders over £300 placed on Made4Fighters.com. 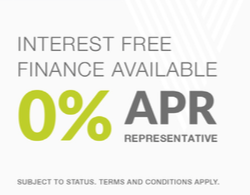 Interest free repayment options can be spread over 3, 6 or 9 month payment plans with instant decisions made online. Approval for finance is subject to status. Fill your basket with everything you want from Made4Fighters and go to the checkout. You will be sent to our finance provider's secure server to complete your application. 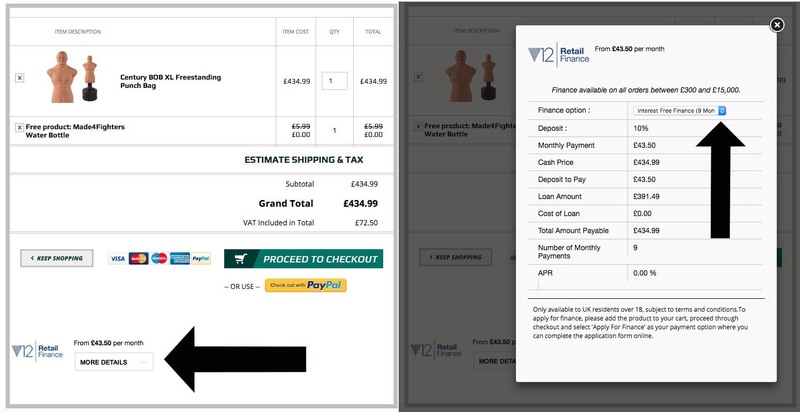 Applying for V12 Finance is easy and decisions will be made instantly online! You must be 18 years of age. If you are under 18, your parent or guardian can apply for finance on your behalf. The minimum value of the product(s) must be over £300. All online finance orders will be sent as a complete order within 4 weeks or your finance application will be cancelled.